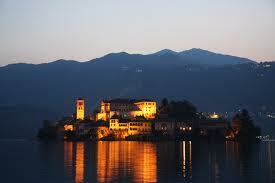 Autumn is coming on Lake Orta! This wonderful season offers you unforgettable colors and flavors. Our wood are rich in wild mushrooms that you can taste with a warm polenta after a long walk, or, if you prefer pumpkins and chestnuts to prepare Gnocchi all’Ossolana with a great cheese that you can buy from the producer! We had lots of friends coming from the States during the summer period, cooking and tasting, exchanging emotions and having fun! Now the sun is getting less warm and lots of colors are painting our woods all around the lake. A new season is coming! the best one!